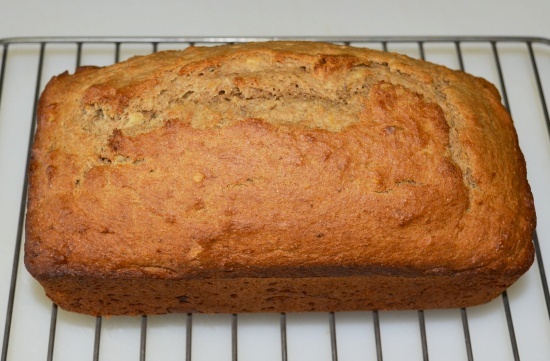 You can make this make Banana Nut Cake when you have more ripe bananas than you can eat at one time. The following recipe only uses half a cup of sugar, so it is not too sweet. For a cholesterol-free version, substitute 3 egg whites for the 2 eggs, and use 1/2 cup of canola oil instead of butter. Pre-heat oven at 350 degrees Fahrenheit (175 degrees Celsius). Grease and flour a loaf pan. Mix together flour and baking powder in a bowl. With an electric mixer, mix the butter and sugar. Add the eggs and vanilla extract beating well. Mix in the mashed bananas. Add the flour mixture gradually, do not overmix. Stir in the nuts. Pour the batter into the loaf pan. Bake for 45 minutes to 60 minutes until cake has a golden crust. Insert a dry toothpick into the middle of the cake, if it comes out clean without batter, the cake is done. Remove the cake from the oven and cool it on a wire rack. 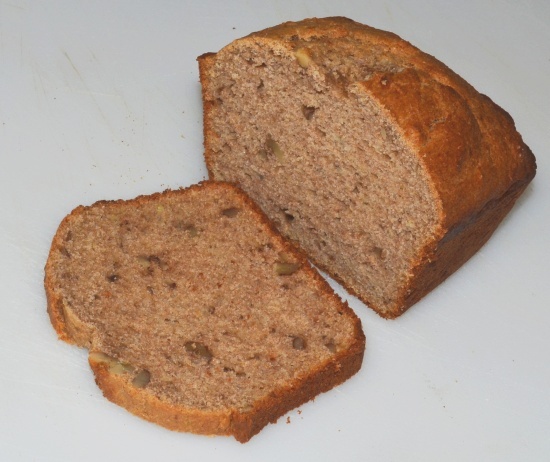 A problem encountered when baking banana nut bread is that the dough is very gooey and it takes a long time to transfer heat from the pan to the center of the loaf. The edges of the bread may be properly baked, but the center of the loaf may still be raw. 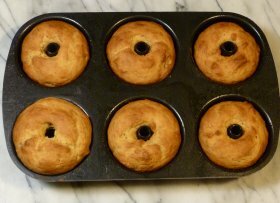 Bundt pans have a center section that is exposed to the heat of the oven and eliminates the problem of the uncooked center. 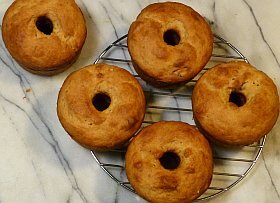 The pictures above show banana nut bread baked in a mini-bundt pan that produces muffin-sized cakes.